The idiosyncratic Midwest emo sound has seen somewhat of a lasting revival throughout this decade. New groups have sprouted out of the groundwork laid out by the pioneering bands, adopting the glittery, twangy guitar stylings and intimately personal lyricism typical of the subgenre and appropriating them for a new generation of music listeners. Some of the forefathers, including American Football, resurfaced over the years as well, touring and recording new material, partly in response to their renewed popularity among this emergent demographic. Reuniting in 2014 for a tour coinciding with the re-release of their two studio albums The Power of Failing (1997) and EndSerenading (1998), Texas emo icons Mineral have been notably absent from the trend of older bands within the scene releasing new music – until today, that is! Yes, that’s right: the highly influential four-piece presented a brand new track called “Aurora” a few hours ago. That’s not the only piece of good news I have for fans of the band either, but let’s save the rest for after we all had a listen to the song, alright? This moment has been twenty years in the making, after all. It’s an awesome track, right? Almost feels like the years between 1998 and now never even happened, musically speaking of course. Okay, back to business; I promised you more news, and I’m hell-bent on delivering them. 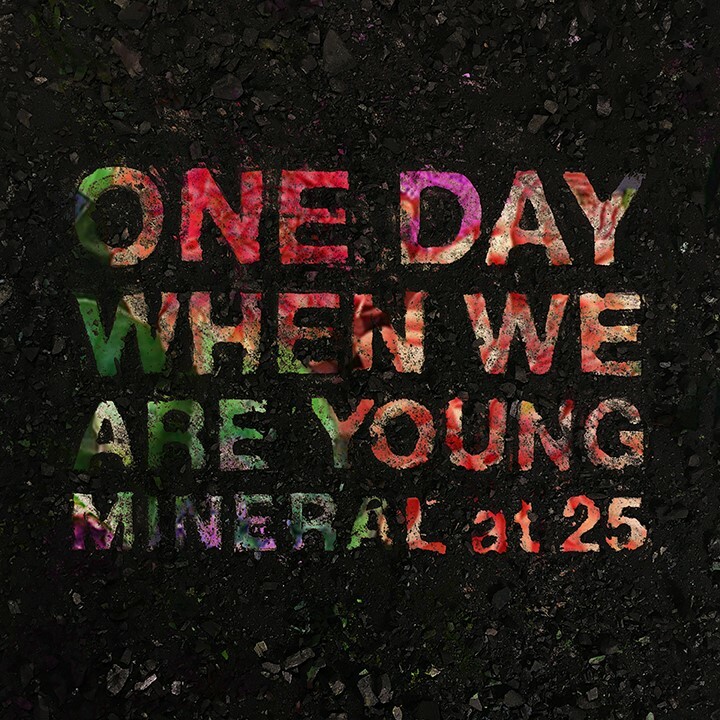 Along with the unveiling of “Aurora”, Mineral announced the release of a retrospective book entitled One Day When We Are Young: Mineral at 25, which will be out on January 4. It’s coming accompanied by a two-song 10″ record, featuring “Aurora” and a second newly recorded song called “Your Body Is the World”. In case you’re still able to process more information after that reveal, Mineral are also set to embark on a 2019 international tour in support of the book/10″ single. You can find all dates listed below for your convenience. Want to pre-order the book and/or grab a ticket for one of the above shows? Head on over to Mineral‘s official website! Be sure to drop them a like on Facebook as well to not miss out on any future updates from them.